Moto launched Moto C Plus in India priced at Rs 6999 which is available exclusively from Flipkart.It comes with 5-inch HD Display packed and 4000mAh Battery.Here are some of the Frequently Asked Question about Moto C Plus. Q)Display Size of Moto C Plus? The device comes with a 5.0 inch HD (1280×720) TFT LCD IPS Display. Q)Moto C Plus protected by Gorilla Glass? Q) Does Moto C Plus comes with LED Notification? Q) Does Moto C Plus comes with Metal Body? Q)What is the SoC used in the Moto C Plus? Q) GPU on Moto C Plus? Q) How Much RAM and ROM on Moto C Plus? Q) Out of 16GB how much Free Space available? Q)Does Dual SIM support on Moto C Plus? Q)Does the Moto C Plus have microSD expansion option? Yes, the device supports microSD up to 32GB which is Dedicated Slot. Q) Rear Camera on Moto C Plus? It has 8 MP rear camera with ƒ/2.2 aperture, Auto Focus, Single LED flash, mode, mode, ) Video: 720p (30 ), Beautification. Q) Front Camera on Moto C Plus? It has a 2MP front camera with ƒ/2.8 aperture. Q)Sensor on Moto C Plus? Q) Does Moto C Plus runs on Android Nougat? Yes, Device runs on Android 7.0, Nougat. Q) capacitive touch buttons are backlit on Moto C Plus? The device comes with capacitive touch buttons. Q)What is the weight of the Moto C Plus? The device weighs 151 grams. Q) Where is Power and Volume button located on Moto C Plus? Q) Where is Speaker Grill located on Moto C Plus? Q)Does Moto C Plus come with a fingerprint sensor? No, the device does not come with a fingerprint sensor. Q) Moto C Plus Supports 4G VoLTE? Q) Does Moto C Plus has NFC? Q) What is Battery Size of Moto C Plus? Q)Moto C Plus Supports Fast Charging? 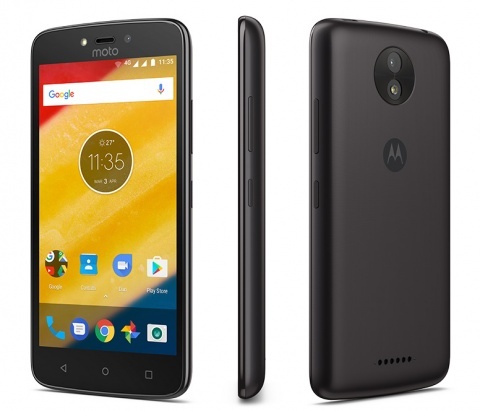 Q) Does Moto C Plus has removable Battery? Yes, Moto C Plus have removable Battery. Q) Color options of Moto C Plus? Moto C Plus will be available in Starry Black, Fine Gold, Metallic Cherry color options. Q)What contents do you get inside the retail box of the Moto C Plus? Q) What is Price of Moto C Plus in India? Q) where to Buy Moto C Plus? Q) Is it worth buying Moto C Plus? No there much better options which offer better specs like Xiaomi Redmi 4A, Redmi 4, Micromax Evok Power.